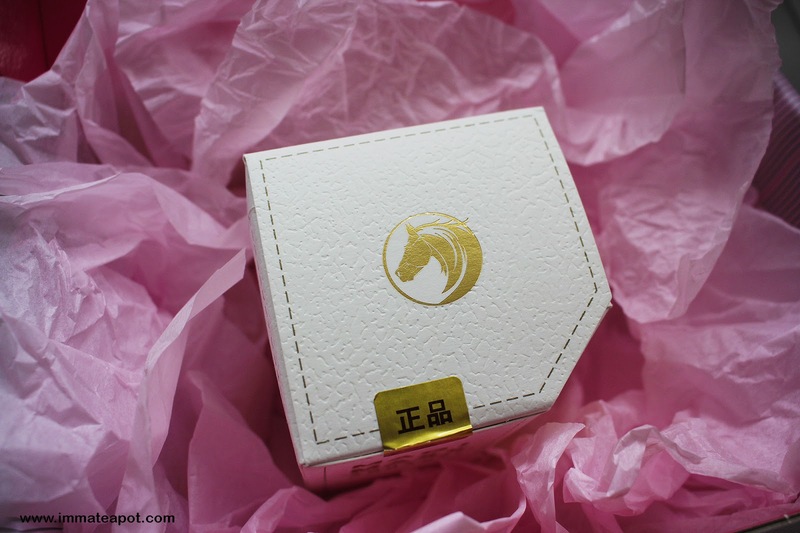 If I'm not mistaken, the current talk about the latest beauty trends in 2014 will be Horse Oil, it was a craze that started in South Korean and now they are making their way to the world. What so unique about the Horse Oil? According to dailymail.uk, Horse Oil is known for its properties in healing, sterilize, absorbent and high moisturizing capabilities. Besides, Horse Oil is rich in unsaturated fatty acids, which making it able to deeply penetrate into our skin without left over greasy feeling. 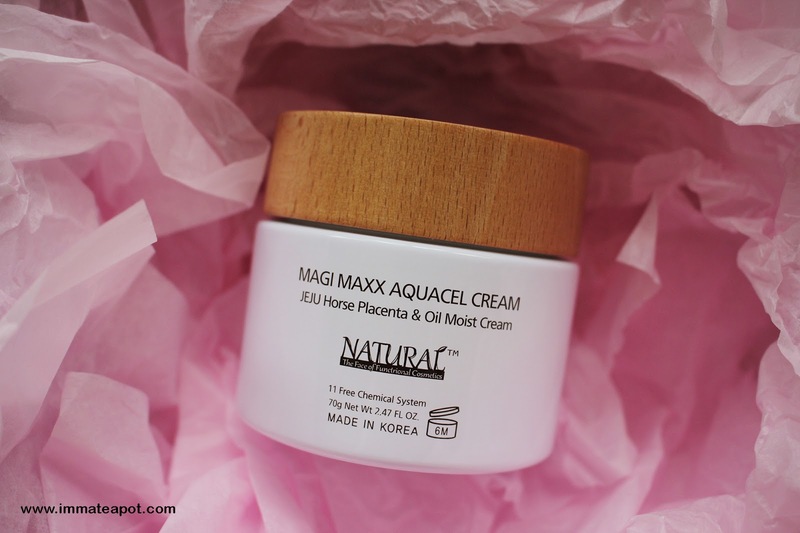 Horse Oil can enhance our skin complexion and texture. Well, we used to apply snail cream or donkey milk on our face, but why not the Horse Oil and Horse Placenta? In this Summer, the craze is back and it's even more powerful! 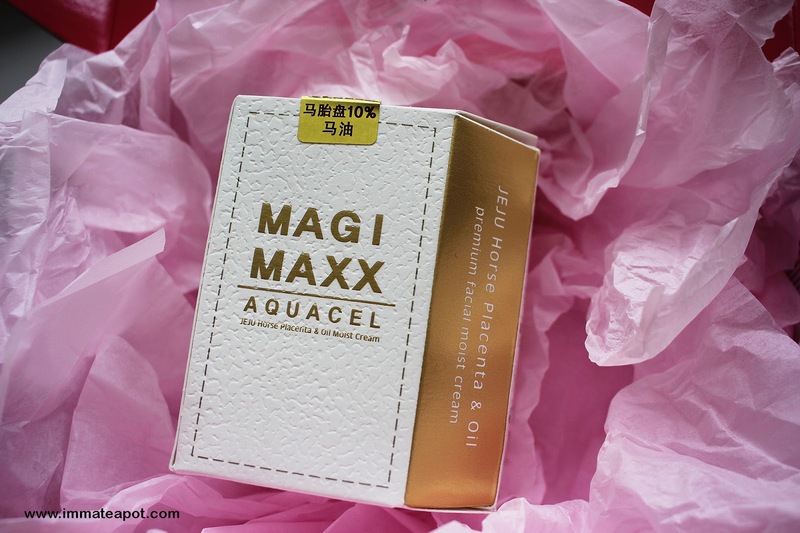 In Korea, they have come out with the 1st Premium Facial Moisturizing Cream made with both Horse Placenta and Horse Oil - Magimaxx Aqua Cell Cream. Ingredients aside, OMG, I'm so fascinated by its packaging! The shape, thickness, textured touch and colors used has made this product leveled with its exceptional and privilege. Simple and elegant. I have seldom see any textured packaging out there, as they are really costful and especially in mass production. Unwrapped the packaging box, there is a bottle which made up of glass and wooden cap. Simply nice and environment friendly. 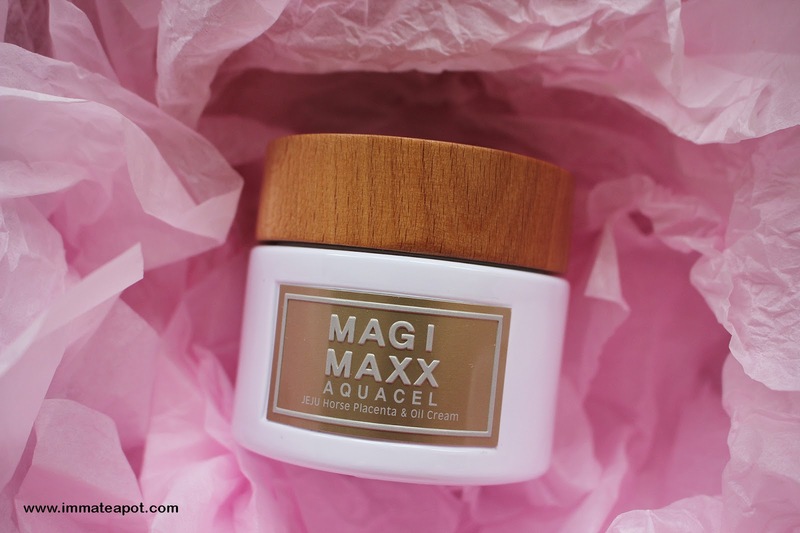 Besides the amazing ingredients that helps nourish the skin and prevent sign of aging, Magimaxx Aqua Cell Cream is free from paraben, artificial oil, mineral oil and other chemical contents. Within the glass, there's a inner cap to prevent the content from contamination. 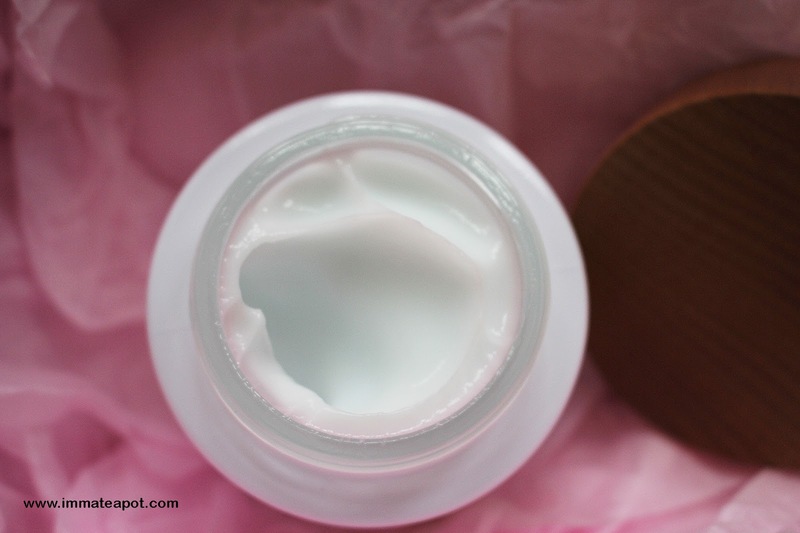 It comes with slight baby blue-ish jelly like creamy texture, with a refreshing natural floral scent. I really love the scent, it's so relax and delicate. 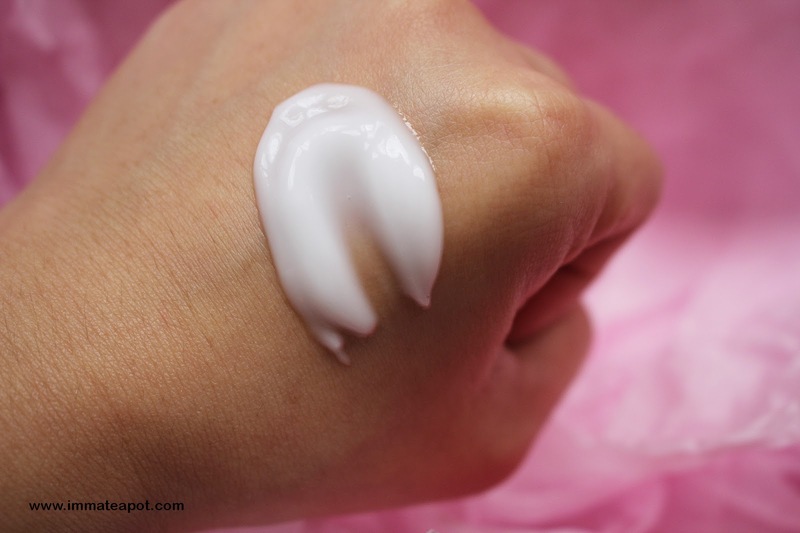 After applying on my skin, I can feel the instant suppleness and hydration on my skin. It's so soft and leaving my skin with zero-stickiness and zero-greasiness. 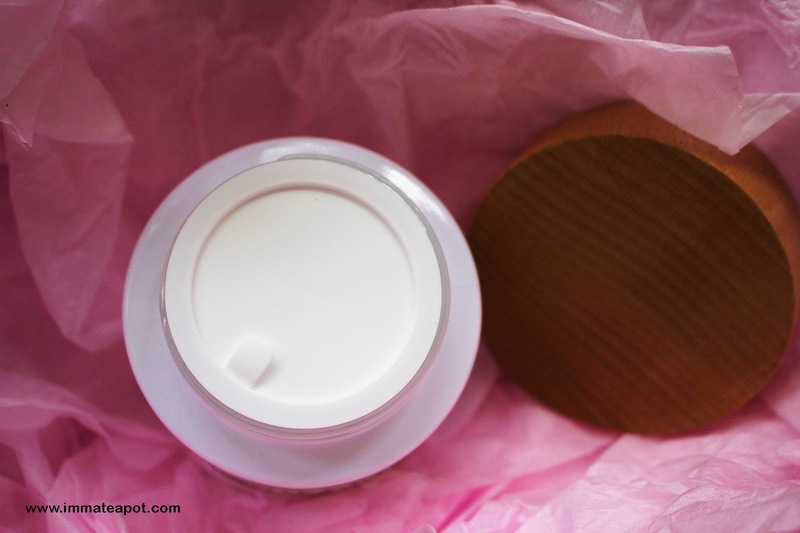 After a week of usage, I can feel my skin are way smoother and it's getting better in complexion. Besides, it's free from 11 chemicals. Gosh! 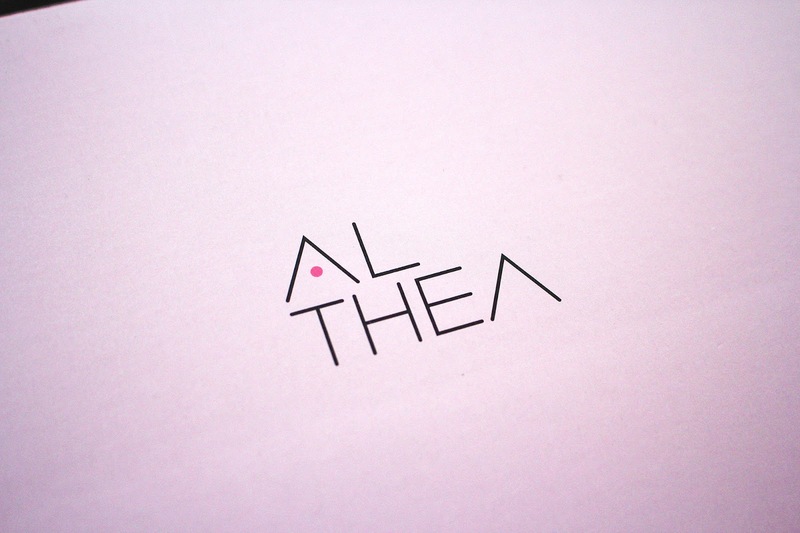 Feel so safe while using this, all natural ingredients and fragrance. No worry if you're having sensitive skin. I've heard crazy things like snail mucus and all but this is the first time i've heard about horse oil!